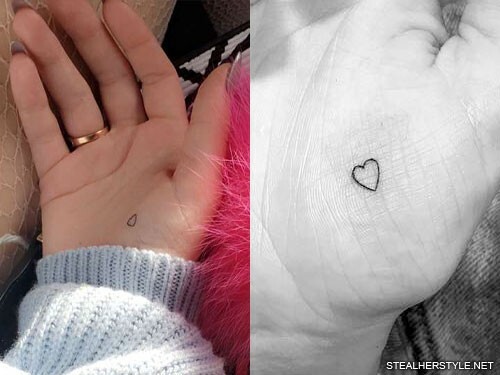 Elle Ferguson and Joel Patfull get matching tattoos with outlined hearts on their fingers. 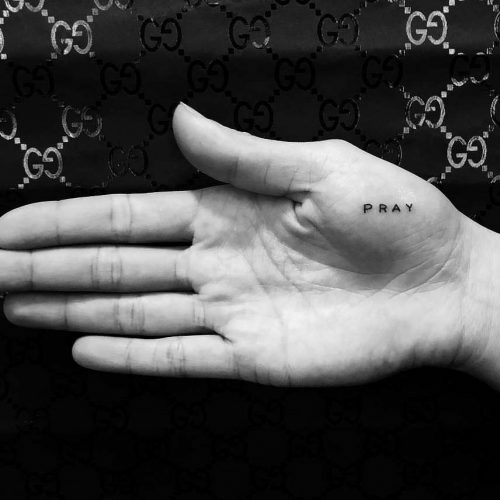 Ashley Moore has the word “pray” inked on her right palm. 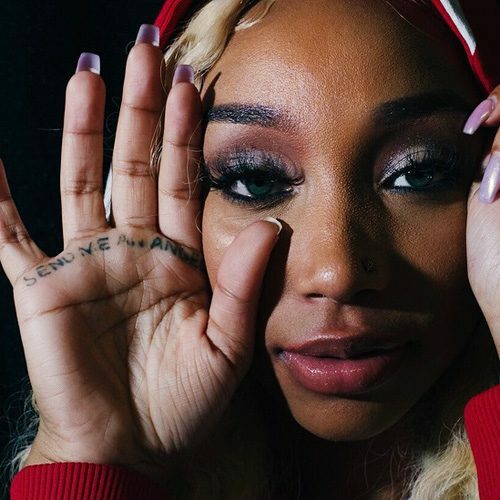 Zonnique Pullins has the message “Send me an angel” tattooed on her right palm by Roger Parrilla. 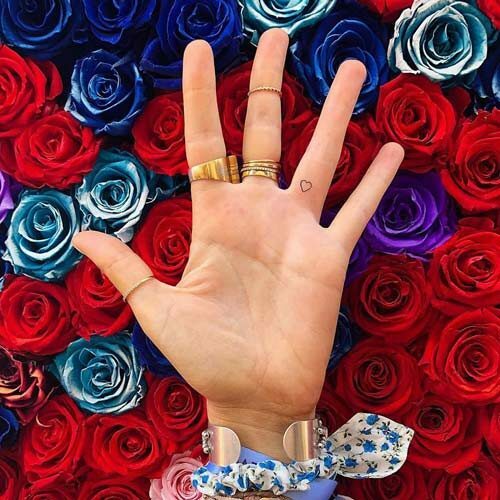 Julia Michaels has the message “i love you” inked on her right palm as a reminder to never forget to love herself. 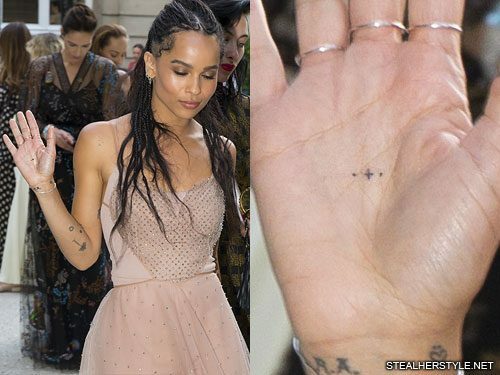 The tattoo is Julia’s own handwriting and was done on December 20, 2016. 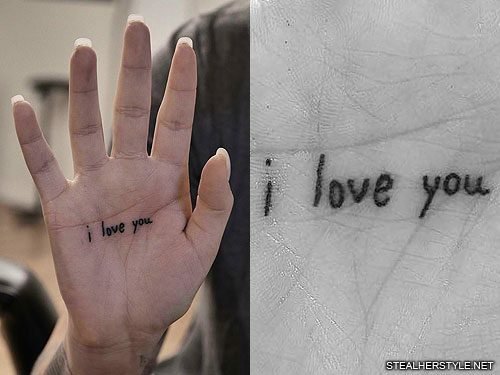 It is on her non-dominant hand so it looks as if she wrote it herself in pen. 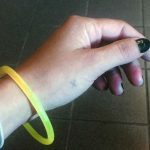 “I have a lot of little reminders on my body because I don’t tell myself that I love myself. And sometimes I forget, too. 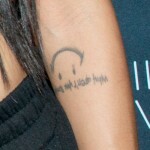 So I have this a just a ‘hey, I love you, everything is ok today,’ basically.” she told MusicChoice. 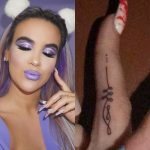 The location made the tattoo extremely painful, and she finds it funny that she basically tortured herself in the process of getting a symbol of self-love. 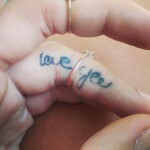 “It says ‘I love you’ but it was very ironic because it was very painful, I wouldn’t wish this kind of pain on anybody. Don’t do it!” she told Z100. 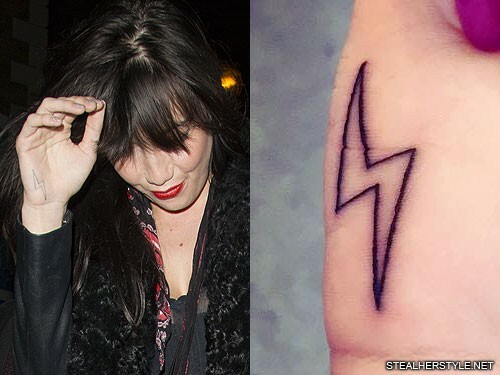 Two other celebs inspired Daisy Lowe to get this lightning both tattoo on the palm of her right hand. 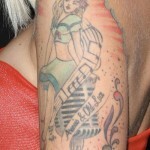 She sought out artist Sean From Texas after seeing his work – lots and lots of it – on Brooke Candy. 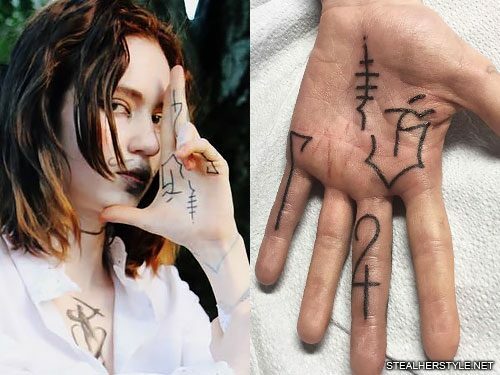 She shared the new tattoo in a July 12, 2015 instagram photo in which she tagged her good friend Florence Welch of Florence + The Machine and wrote “All for you.” One month earlier Florence tagged Daisy in a picture of a new tattoo of her own, perhaps putting her up to the challenge? 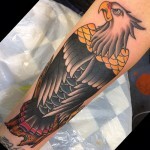 All for you @ouhoh… By the super dude @seanfromtexas at@tattoomania25 thanks to@brookecandy⚡️⚡️⚡️⚡️⚡️⚡️⚡️⚡️⚡️⚡️⚡️⚡️⚡️⚡️ sorry grandma….